I have anger management issues primarily related to shopping. This is a photo I took tonight at Whole Foods. Granted, it's one of the busiest in the country, but, it's 10 pm. Two dumbasses left their carts in the middle of a busy section of the store. (Hell, the whole store is busy.) I waited around for a minute, no one returned to the abandoned carts. 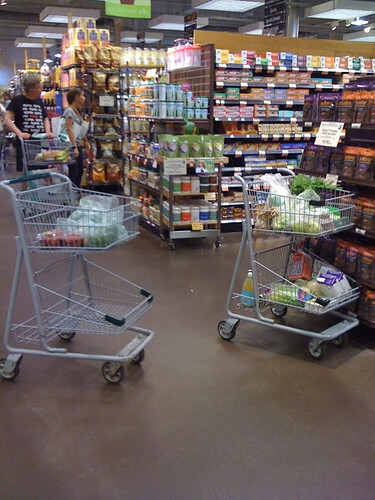 I'm not sure if there were cartons of coconut milk in those carts, but, I'm sure there were.